It was only a few short months ago that fans of All My Children and One Life to Live got the thrilling news that they had prayed for – Prospect Park was going to revive their beloved shows. Both AMC and OLTL wrapped up their decades-long runs on ABC back in 2011 and fans of both shows petitioned and rallied hard to bring their favorite characters back to life. Prospect Park looked at the numbers and took the gamble on an internet reboot of both shows and they new episodes began airing last April. Within two weeks they were cut from 4 to only 2 new episodes a week and it was obviously going to be an uphill battle. The ratings were never what Prospect Park had hoped for and in September it was announced that they were stopping production on OLTL because of a lawsuit pending with ABC. The deal originally brokered meant that Prospect Park could borrow characters that were old fan favorites for the rebooted shows but ABC could still use them in guest stints on General Hospital. A few of these soap crossovers resulted in ABC randomly killing off characters without giving Prospect Park a heads up. That resulted in Prospect Park suing the network and deciding to shelve one show until the legal issue is resolved. Now according to the Nov. 11th print edition of GLOBE magazine All My Children is also no longer on the shooting schedule. The bottom line is budget. While reviving the shows sounded great on paper the reality is that the fans just aren’t tuning in enough to justify the cost of production. AMC already has canceled two dates to begin production on another season and those close to the show concede that no one believes that it or OLTL will ever really return. Are you a fan of either show? Did you watch the rebooted version of either show? Did you think that it had a chance of staying on the air thanks to Prospect Park? Tell us your thoughts in the comments below! 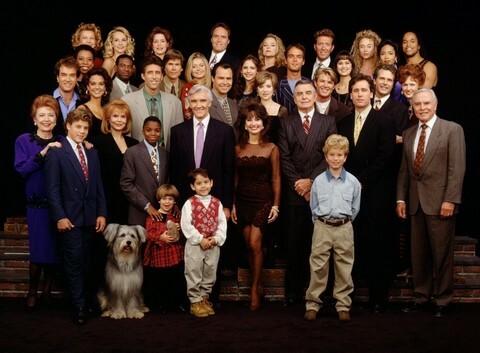 Soap Fans United Announces High Energy Rally to Welcome Back ‘One Life to Live’ and ‘All My Children’!